It snowed earlier this week and it actually stuck around for a little while! 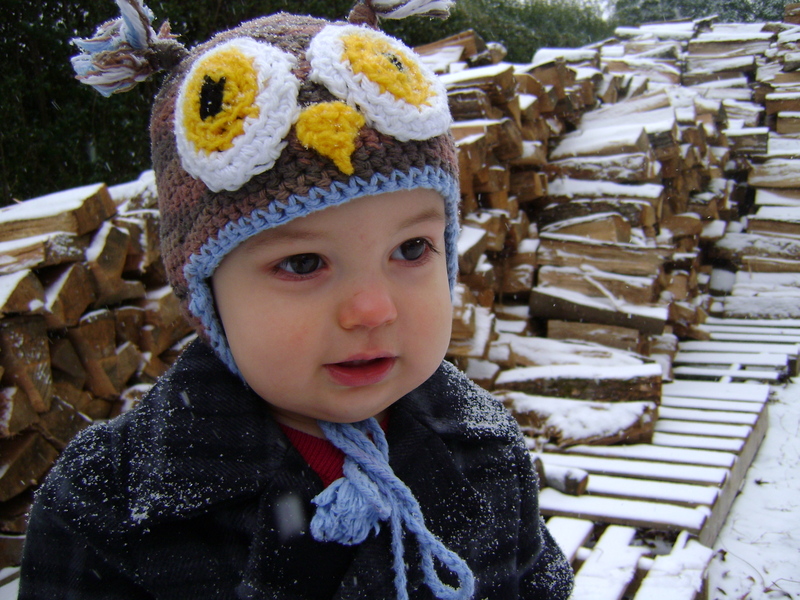 Snow may be rare in South Carolina but this wasn’t Henry first time seeing the white stuff. 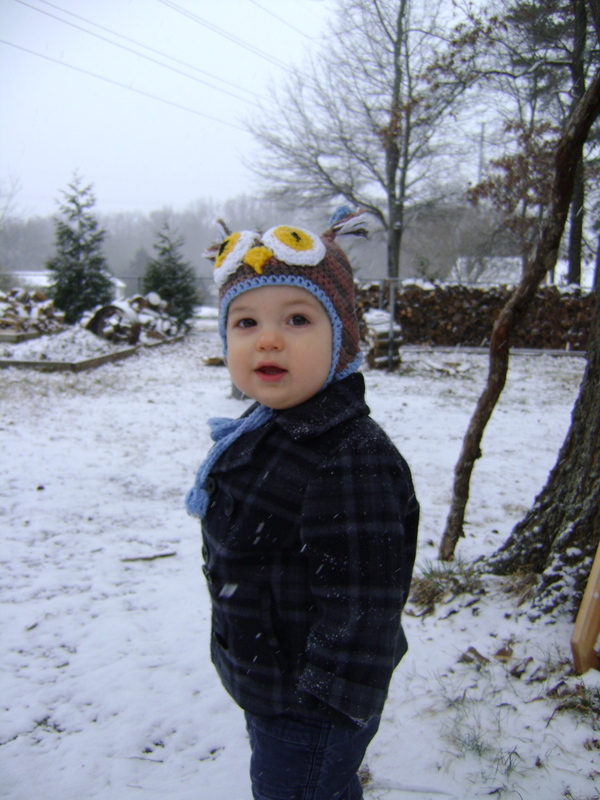 It was however the first time he realized something was going on and the first time he got to play in the snow. He LOVED the snow!! As soon as I open the door he started to point and shout. 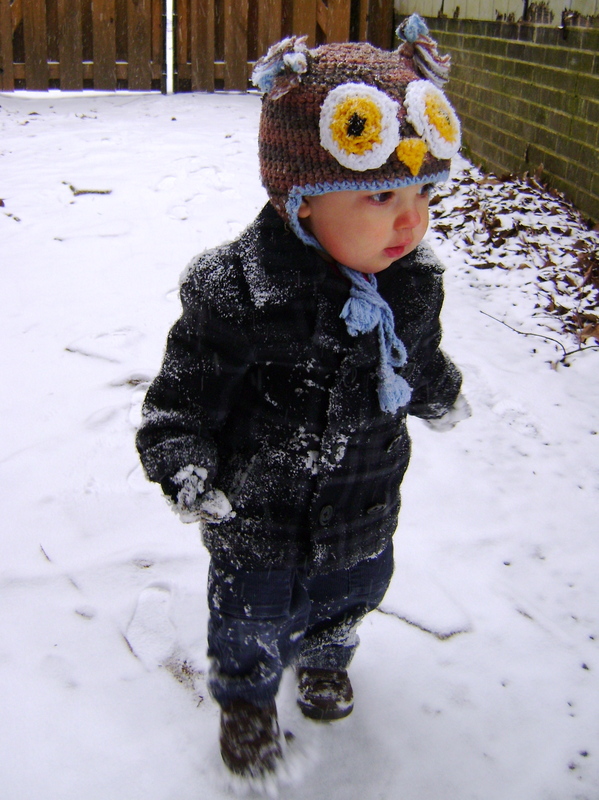 He walked all around and looked down at the snow crunching beneath his feet. 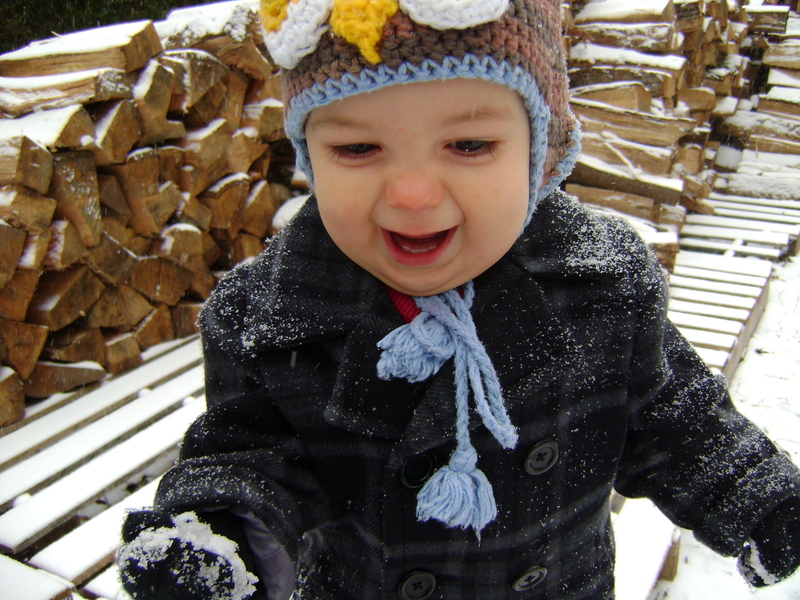 Then he picked up fistfuls of snow and squeezed it tight. It didn’t bother him one bit when he fell and cold snow got on his face. He wanted to keep exploring! In the end I was the one that got cold first and wanted to go inside to warm up. Henry cried and cried when I made him come in with me but then I let him look out the window at the winder wonder land and he was happy again.